This product now out of stock. 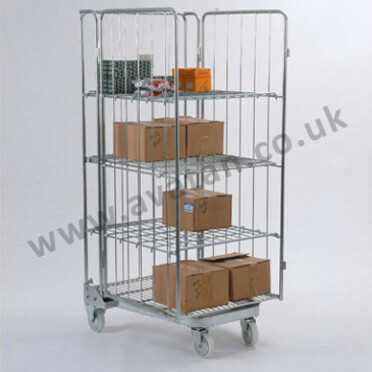 Do you have stocks of storage equipment no longer in use. 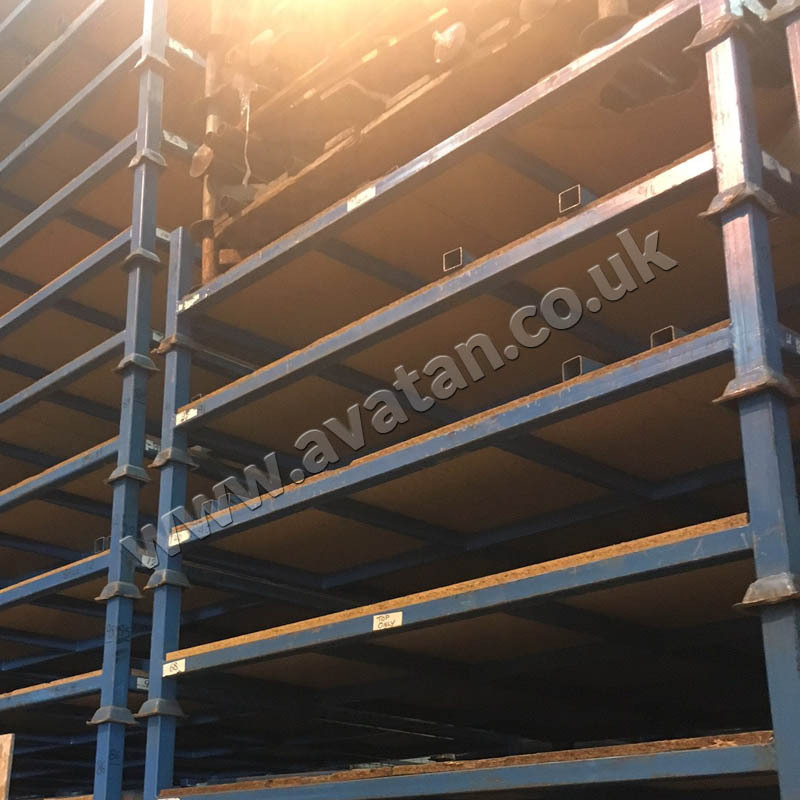 Please contact Avatan if you wish to dispose of similar items. 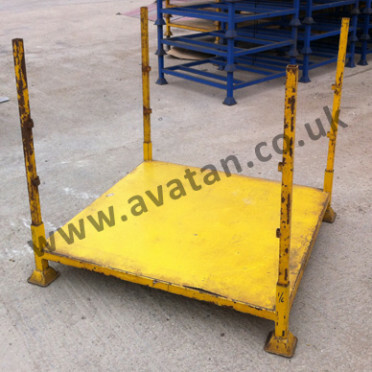 Fully collapsible post pallet with well braced sheet steel deck and four removable posts. Posts fitted with gate lugs and optionally available with four removable mesh gates, see product reference SHC200. 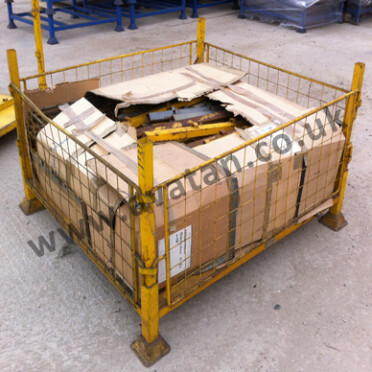 Post pallet now only available 770mm overall height. 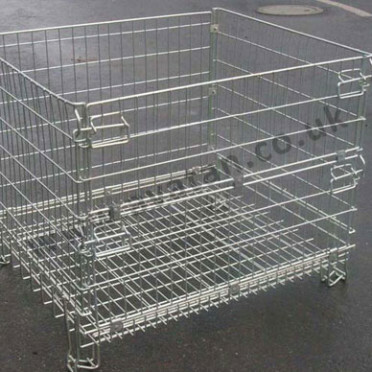 (Pictured with 1070mm removable posts is no longer available). In good, solid, sound stacking used condition. (Some units are available with removable mesh gates).